A kitchen essential, this Essteele Per Vita 20cm/ 3.8L covered saucepan is a pleasure to cook with thanks to the solid copper that is spread across the induction suitable base, allowing heat to disperse evenly and quickly. This results in optimum heat control and perfect cooking conditions favoured by the most discerning cooks. The elegant and refined design is crafted from high quality polished stainless steel for superior durability and shine. 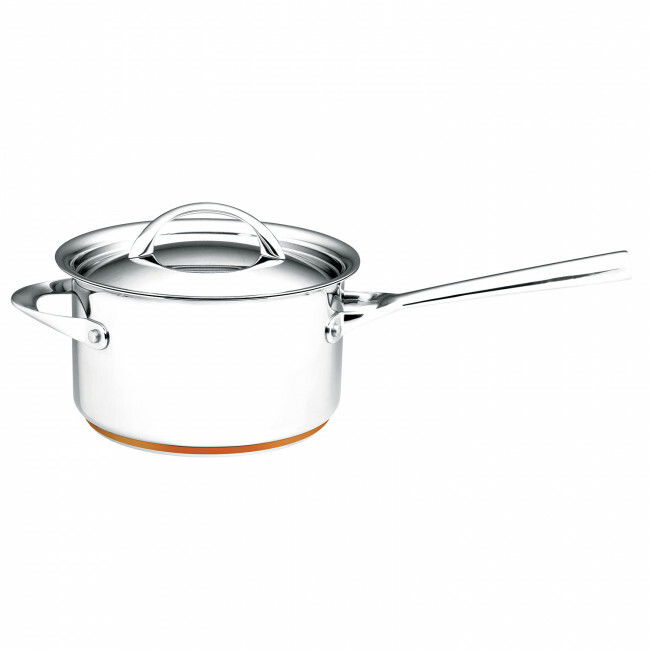 Handles and lids crafted from stainless steel ensure this 20cm/3.8L saucepan will last a lifetime. The saucepan is dishwasher safe, and oven safe to 240°C for added convenience. 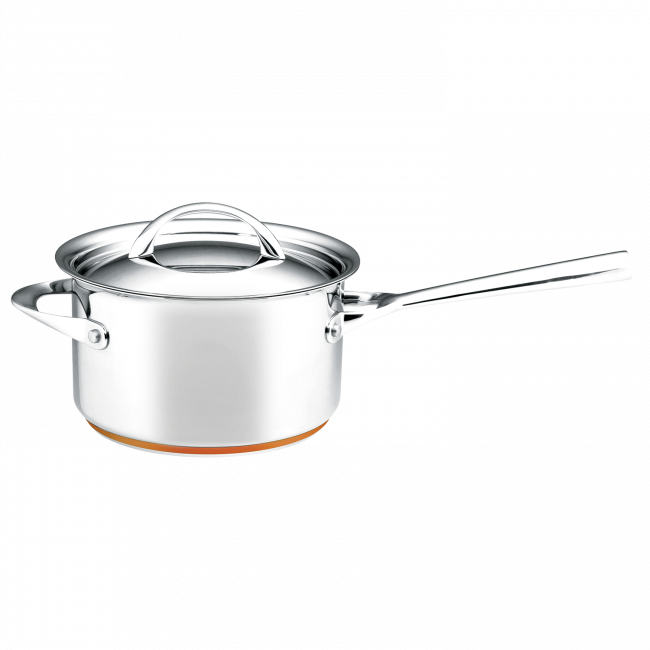 Essteele Per Vita 20cm/3.8L Saucepan is rated 4.1 out of 5 by 7. Rated 5 out of 5 by Catho from The saucepan that lasts a lifetime It doesn't matter what i do to this saucepan, I can always scrub it up to look as new. It is forgiving and really durable. Rated 5 out of 5 by Queenb10 from Great Saucepan I've owned the Essteele Per Vita Saucepan for a little over a year now and absolutely love it! The curved lip on the saucepan makes for easy pouring and little mess. Rated 1 out of 5 by Lasabine from NOT dishwasher safe My husband bought this product before Christmas. Shortly after the bottom of the pan became discoloured and looked rusty. I took it back to the shop and had to wait 4 weeks until I got a replacement with a note that the pan obviously is not dishwasher proof.. I wasn't too happy with this because I wanted a saucepan that I can put in the dishwasher. For the price I paid I am very disappointed. On a further note I find the pan is too heavy and it takes a very long time to heat up. I have WMF saucepans that are much lighter, dishwasherproof and they heat up in no time. Rated 5 out of 5 by Jan Martin from Eststeele Saucepan set I love my new saucepans so much I intentionally leave them on my stove top so visitors can see them. Rated 5 out of 5 by Louise Dianne from Excellent I bought this a month ago & I am very happy with it. It is an excellent heavy duty saucepan that can take continuous use without warping. It is very easy to clean & the heavy copper base means it heats quickly & retains the heat. Rated 5 out of 5 by Mars from Great saucepan I bought it as a replacement for a very old Esteele saucepan which gave terrific service.